Ziyen Inc. - Round 2 of Funding Closing: Regulation A+, Company Milestones and upcoming valuation change for the company - Ziyen Inc.
Ziyen Inc., a Scottish American Oil and Energy Company, is about to close Round 2 of Funding as the company continues to execute the Regulation A+ process with a targeted IPO in 2019. This new type of initial public offering is an alternative to a traditional IPO, which makes it easier for smaller, early-stage companies to raise up to $50 million in investment capital from the general public and not only from accredited investors. 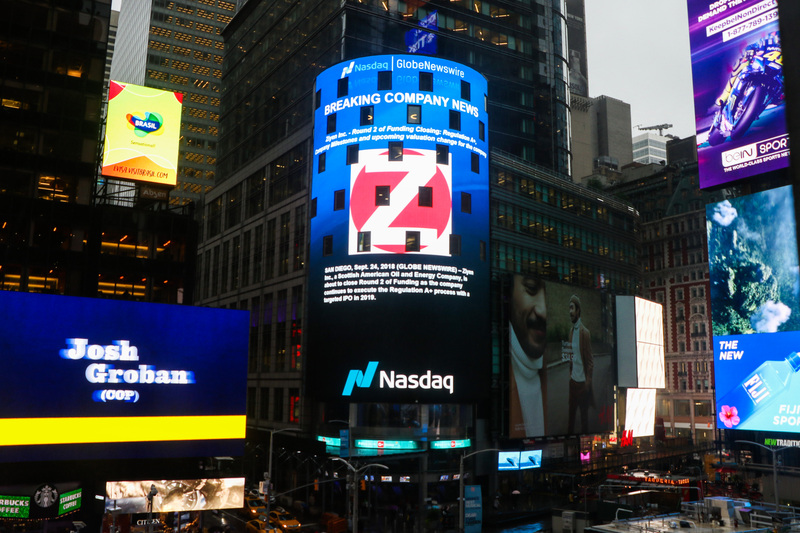 In the last 12 months, Ziyen as a company has seen significant growth by acquiring 12 additional oil assets, increased the experience of the team by appointment seasoned Capital Markets veterans, had multiple appearances on the NASDAQ Board, and will shortly close Round 2 of Funding where the share price of $1.50 per share reflected a valuation representing 1 lease and not 13 which the company has at present. Round 2 of Funding closing shortly, check out the overview of the last 12 months for Ziyen Inc.